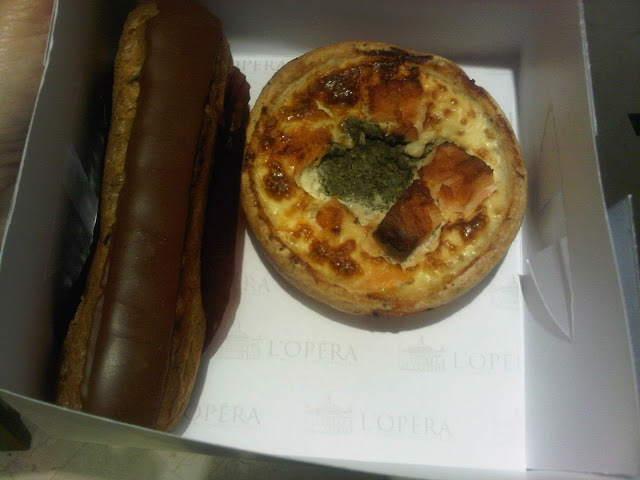 This is my current favourite patisserie! Delectable sweet treats that leave you pining for more. Definitely your one stop shop for macarons. But so far more or less everything I have tried has been finger licking good! Quite pricey, but if you appreciate your French pastry being done the right way, it will all be worth it. Pear Tart and Almond Tart - The almond tart was ok not as good as it could and should have been. The chocolaty thing at the back too was ok. 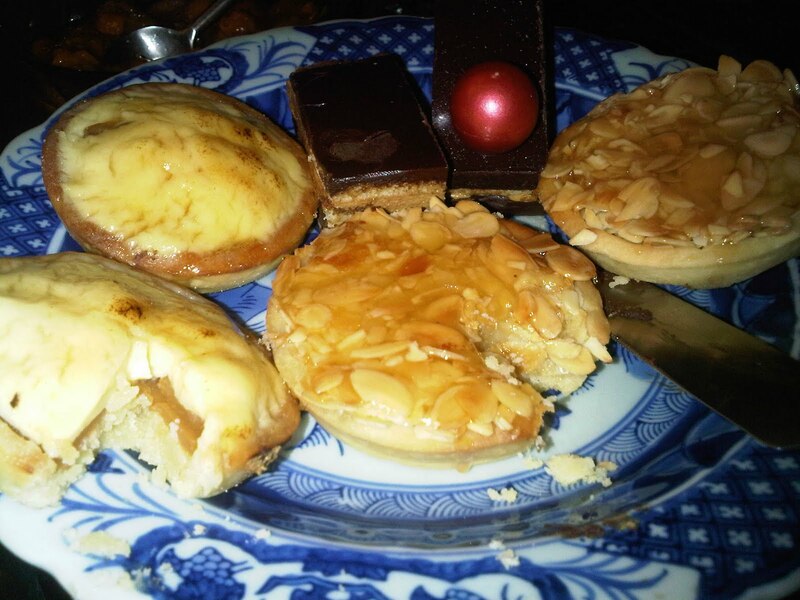 But what was a real winner here was the Pear and custard tart (two on the left). No more needs to be said other than it is definitely worth getting. Do not mistake it for the pear puff pastry looking thing in the shop. Royal Chocolate - This is the pièce de résistance for any chocolate lover. You have to order the whole cake, perfect for any special occasion. And by special occasion any old chocolate craving will do! This cake is soooo sinfully divine it should be illegal. Picture this: Topped with rich chocolate ganache all around, cut in to a layer of chocolate mouse, below which lies.. are you ready for this? A chewy, delicious, crust of macaron! This is officially my favourite chocolate cake of all time! Ok so theres no cake as such but who needs to get so technical when it satiates so much! Mille Feuille - Layers of crisp buttery pastry with custard and cream- This is hands down one of the best things here. So sinfully devine. You know it has to be good when its just so bad for you. But worry about all that later, dig in for now. You can get it whole or in individual slices. Definitely a dinner party hit! 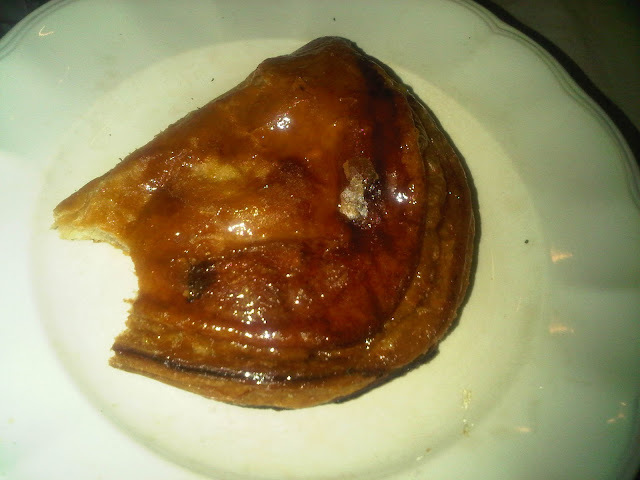 Chausson - My new favourite at L'Opera - So its like an apple turnover to get you guys visualizing. The pastry is buttery decadence in true L'Opera fashion. The stuffing a stewed apple mush, which is thankfully not overly sweet. Just in order to compensate for the lovely sweet sticky glaze on top. Chocolate Eclaire - After hearing all the rave reviews about this eclaire I was sorely let down. Firstly I prefer the simplicity of fresh white cream rather than chocolate. Secondly the choux pastry tasted a tad burnt which was no fun. 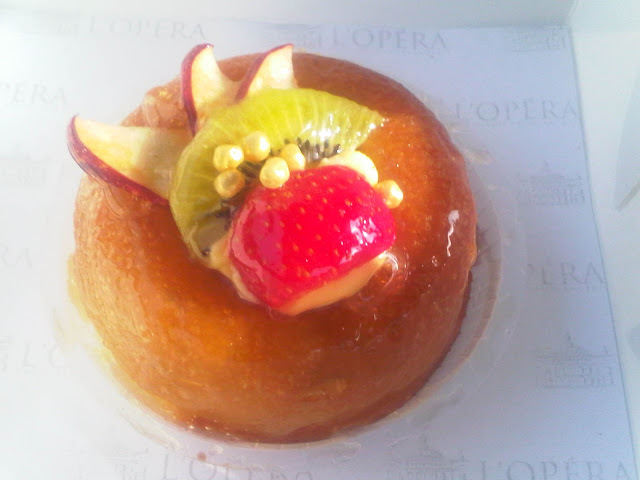 Baba Au Rhum - A beautiful boozy treat. A lovely sponge cake soaked in rum (and by soaked I man drowned). The center is filled with custard and topped with fresh fruit. For me this is where summer is heading! BREADS - Baguette - good , Pain De Campagne (Like sour dough bread - delicious) , Some mulit grain bread which looked like a flower where each petal could break of as an individual bun - quite nice.